St.George Thabore Church, Ooramana (Kandanad). B.A. in Political Science from St.Peter's College, Kolencherry. B.Th from M.S.O.T. Seminary, Udayagiri. B.D from the United Theological College at Bangalore. 1989 (Ordained by H.G. Mor Gregorios Geevarghese). 29 September 2003 (Consecrated by H.B. Catholicos Mor Baselios Thomas I). 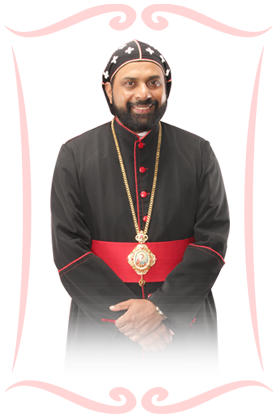 H. G. Mor Theophilose Kuriakose was born on 1st February, 1966 in the Kodikuthiyil family of the Ooramana village (Ernakulum District, Kerala, India) to Mr. Cherian Varkey and Mrs. Saramma Varkey. His home parish is St.George Thabore Jacobite Syrian Church, Ooramana in the Kandanad Diocese. His Grace did his schooling in Ooramana High School and graduation (B.A. Political Science) in St.Peter’s College, Kolencherry. In 1980, he successfully completed B.Th. from the Malankara Syrian Orthodox Theological Seminary, Udayagiri. In the meanwhile he was ordained as a Deacon by Late Lamented H.G. Mor Gregorious Geevarghese Metropolitan in 1989. Later on he joined United Theological College in Bangalore for pursuing Bachelors in Divinity and fruitfully completed it in 1993. 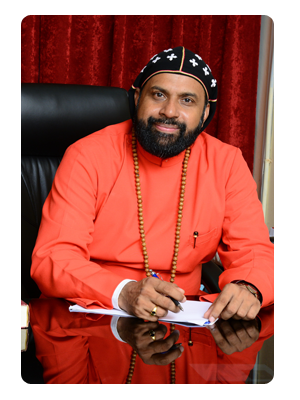 Afterwards he served as a lecturer in the Malankara Syrian Orthodox Theological Seminary, Mulanthuruthy (Ernakulam District) for around three years (1993-1995). Concurrently he functioned as the Organizing Secretary of the ‘Syrian Orthodox Christian Student Movement’. In 1995 he went to Germany for higher studies. In Germany, His Grace mastered in German and Latin languages from the Ostkirchliches Institute and also received Doctor of Theology at the Catholic Faculty of the University of Regensburg. His thesis was on “Den Armen gehoert das Reich Gotttes. Lukanische Impulse fuer ein Dalit Theologie”. In 2002 he returned to India and continued as a lecturer of the M.S.O.T Seminary. On 12th November 2002 he was ordained as a priest and on 29th September 2003 he was consecrated as a Metropolitan by H.B. Aboon Mor Baselios Thomas I. Since then he serves as the Resident Metropolitan of M.S.O.T. Seminary, along with various other responsibilities in the church.